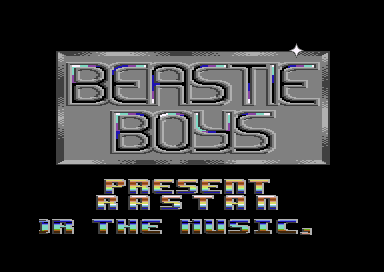 One of the best intros ever done on the c64 imho. One of their better intros. It comes in several versions, but one of them stands out with nice color combinations and layout. Others have wrong colors and looks ugly - shows how easy a good intro can be mucked up. A rather ok intro, not a fav one for me. Beastie boys had a bounch of better-looking intros. My 2nd most favorite BB Intro. I believe this one was made by TMC for BB back in the days.